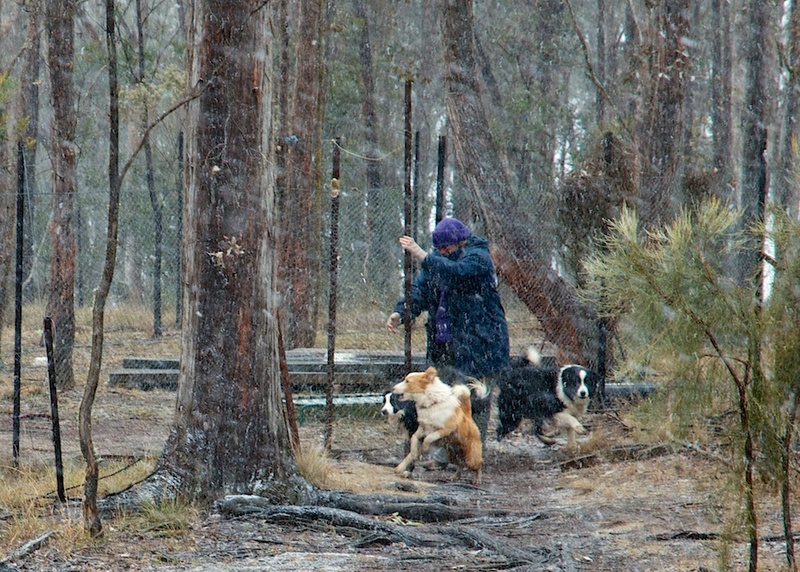 Here’s Bronwyn rescuing our three Border Collies from the snow a few weeks ago. We might see snow here every few years but it rarely lies on the ground. It has been nothing like snow around here for several years. I remember we used to see snow flakes every few years but not for a while.